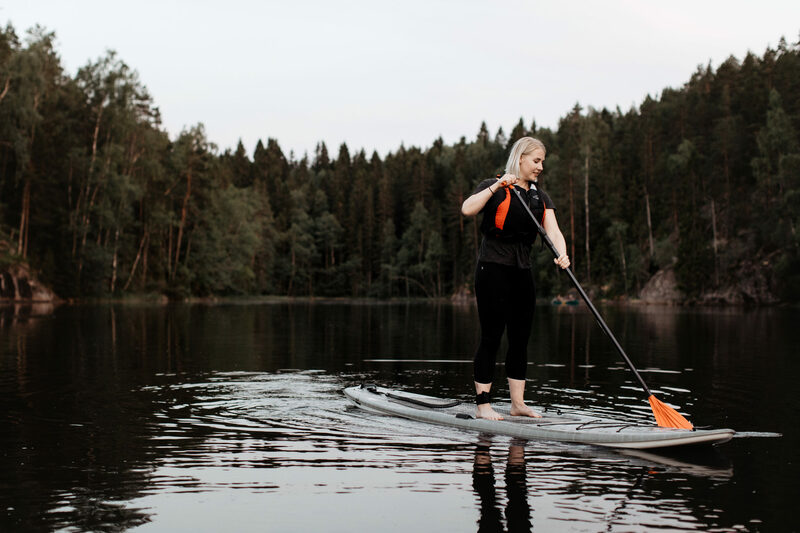 Nuuksio National Park offers a tranquil setting for stand up paddling. Paddle on a calm forest lake and observe the nature on a Pelican Flow rental SUP board. Pelican Flow is a well-known brand of SUP boards, and their equipment is well suited for calm waters and small ripples. The Pelican Flow SUP board comes in two sizes, the Pelican Flow 106 for a lighter and Pelican Flow 116 for a bigger paddler. The surface of the board has been coated with an Anti-slip rubber coating, which prevents slipping and sliding. Happy paddlings!